Karyn Bagri is a 2017 UBC graduate with previous science degree in Molecular Biology and Biochemistry from SFU. Her favourite movies of all time include the Lion King, the Harry Potter series, and Lord of the Rings. She may have a story or two to tell about the Sasquatch music festival in Washington State. Joyce Chang is a 2017 UBC Graduate from Langley. Her favorite movies include Spirited Away, Tangled and Zootopia. Her most memorable trip was participating in the IPSF Student Exchange Program to Taiwan. A little known fact about Joyce - she has a twin brother. Her passions include piano, skating, baking and eating dessert. Julia Fan is 2016 UBC Graduate from Vancouver, and is currently a pharmacist at the Cumberland Health Care Centre on the island. Her most memorable trip was a solo backpacking trip through Central and Eastern Europe. She never says no to anything matcha or mango flavoured, and in her spare time, you can find her cooking, playing boardgames with friends and exploring different cultures. Nicole Giunio-Zorkin is a 2017 U of T graduate from Victoria, BC. She has also lived in Montreal and Toronto. Her most memorable trip was participating as a member of the pharmacy team on a medical mission to Ghana. One thing you may not know about Nicole is that she is one-quarter Croatian. Lindsay Kufta is a 2012 UBC graduate from West Vancouver. She has been working as a community pharmacist in Hope BC. Her most memorable travel adventures were boating trips in Desolation Sound. Lindsay can be found windsurfing, sailing, hiking, and enjoys a piece or two of chocolate with every meal (yes, even breakfast!). Candy Lee is a 2014 UBC graduate and described as being charming, down-to-earth and optimistic. She enjoys travel and as a young child she spent a whole year in Hawaii and more recently she spent time in Quebec learning the language and enjoying the culture & cuisine! Leo Leung is a native Vancouverite and a 2017 UBC graduate. He's a big fan of loose leaf tea and his most memorable trip was going on exchange in Taiwan. You might want to ask him about the perfect Instagram filters for every picture opportunity. Rebecca Liang is a 2017 graduate from Dalhousie University and Charlottetown, PEI is her home. She is a foodie and her favourite activities include playing a game of badminton, going for walks and hikes. She has lived in many cities, including Halifax, Ottawa and in China. Jasminder Mourh is a 2017 UBC graduate from Surrey BC. Her most memorable trip is exploring the landscapes and culture of Hawaii. In her spare time, she enjoys travelling, trying new foods, cooking, art and watching the Vancouver Canucks. Karen Ng is a 2017 UBC Graduate from Richmond BC. Her favorite movies is The Dark Knight: The Prestige Inception. During her spare time, you'll find her on Facebook on her phone, and she may occassionally binge on McDonald's after a long day. Karen's most memorable trip was exploring the island of Oahu and enjoying the view from the peak of Diamond Head. Sheliza Shivji is a 2017 UBC graduate from Surrey BC. Her favorite movies are Despicable Me and Titanic. Her most memorable trip was to Africa when she was young. Described as caring, kind and sweet, she can be found indulging in music videos in her spare time. Will Shum is a 2008 UBC graduate from Vancouver. He has worked as a community pharmacist as well as a casual pharmacist at a few Fraser Health sites. His most memorable trip was driving on the Road to Hana in Maui. He enjoys working with youth, playing hockey, and refinishing furniture in his spare time. 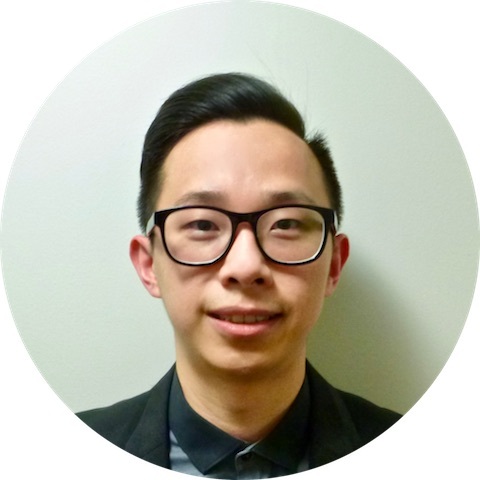 Jinglin Tang is a 2017 U of T graduate and calls Pullman, Washington home. She has lived in Tai'an in the Shandong province of China; Winnipeg, Guelph and Toronto in Canada. Described as down-to-earth, kind and happy, and her passions include camping, hiking, racket sports, and curling up with a fantasy book. Elaine Tung is a 2017 UBC grad with a previous science degree in Anatomy and Cell Biology. She is from Vancouver but has also lived in Montreal, New Jersey and New York City. Her most memorable trip was to White Sands, Mexico. Her favourite books include 2666 by Roberto Bolano and The Mezzanine by Nicholson Baker. Jordan Torok is a 2017 UBC graduate from Chilliwack. His most memorable trip is ATV-ing in Mexico. He has spent many hours at the pool as he swam competitively at the national level during high school, has coached swimming and worked as a lifeguard. Erik van Amerongen is a 2012 graduate from Pacific University and also has a previous Engineering degree. He is currently a pharmacist at Surrey Memorial Hospital. He has lived in many different states including Washington, Oregon, Ohio, Idaho, California and Florida. In his spare time, you can find Erik enjoying a good book and a binge-worthy series. Puneet Vashisht is a 2017 UBC graduate from Vancouver. His favorite movies include the Harry Potter series, National Treasure and Shrek. His most memorable trip was travelling to rural parts of India to meet his extended family. Puneet's passions include spending time with family and friends and being a "HUGE Harry Potter fan"
Ruthdol Ywaya is a 2017 UBC graduate who grew up in Nairobi, Kenya before moving to Canada. Her most memorable trip was actually coming to Canada for the first time; dressed in layers ready for snow and instead walked out into beautiful 20 degree Celsius weather. Described as charismatic, thoughtful and hilarious, she can be found enjoying spoken word poetry, singing, doing jazzercise and watching basketball.